Welcome to the Bodyguard Wireless Doorbell Review! As part of our wireless doorbell reviews, we decided to take a look at the Bodyguard Wireless Doorbell to see what it has to offer. With over 600 positive reviews on Amazon, it was find anything negative about the Bodyguard wireless doorbell. It is a great looking wireless doorbell that will not let you down. It is also clear that the manufacturers of this doorbell are environmentally conscious as well, boasting a non-toxic, recyclable doorbell built with ABS material. The working distance of the Bodyguard doorbell is 1000ft/300m in open areas. That certainly doesn’t mean that you will reach that kind of distance in your home. You must remember that there are many things around your home that will weaken the wireless signal as it passes through them. Objects such as walls, doors, and other electrical items will mean the actual working range is most likely to be around 50% of the advertised range. It is not the longest range we have seen, with other wireless doorbells capable of reaching over 1300 feet. Having said that, 1000 feet is more than enough for most homes. If you have a big house then you will also want to consider additional wireless doorbell receivers. The Bodyguard wireless doorbell kit either comes with 2 receivers, or 1. You can buy multiple doorbell kits and attach the other chimes to the same push button if needed. There are 36 different ringtones to choose from! The tones range from the classic ‘ding dong’ to more melodic options. To select a different ringtone, you do have to cycle through each option before you get to one that you like. The volume range is 20dB-80dB which is a good volume for a medium size house. As there are two receivers with this kit, you can space them out to ensure you hear any visitors. 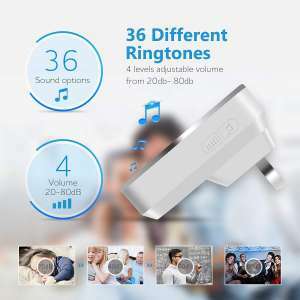 80dB is an excellent volume for a wireless doorbell, however, if you are hard of hearing there are louder wireless doorbells that you will want to consider. There are two things you need to consider when thinking about a weatherproof wireless doorbell. 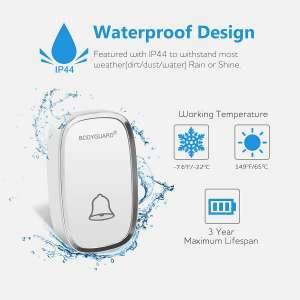 In terms of being waterproof, the Bodyguard wireless doorbell is rated IP44. As far as we are concerned, IP33 is the lowest you should go when choosing a wireless doorbell. IP44 is certainly good enough to place the push button outside. For more information about wireless doorbell IP ratings, check out the explanation in our waterproof doorbells post. The working temperature range for the Bodyguard wireless doorbell is -7.6°F to 149°F (-22°C – 65°C). That temperature range makes it a great option if you live in a hold or cold climate. Plug in the receiver, press and hold the volume button for 3 seconds (the second button on the right side of the receiver). When in pairing mode, press the transmitter (push button). When the pairing is complete, release the volume button. 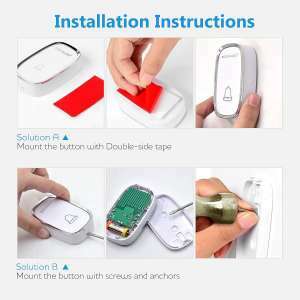 The wireless doorbell kit comes with screw and adhesive strips to secure the push button to your front door. In terms of how you install it to your door, it is completely up to you. There are drawbacks to using either the adhesive or the screws. Using the adhesive strips allows you to secure the push button without causing damage to the frame of your door. If you are not happy with having screw holes in your door frame then we suggest that you use the adhesive strips. The only drawback is the strength of the bond. If your front door is exposed to the elements (if you do not have a porch) then the rainwater may weaken the bond over time. You may choose to screw the push button onto your door, which is the decision we always go for. You will always need a doorbell, so although they are screw holes in the door, they are always going to be used to host the push button. In fact, we not only use the screws to secure the push button, but we also use the adhesive to add is some extra protection. Over time, the push button could cause a little damage to the doorframe, so the adhesive offers protection. If you are not happy with the wireless doorbell, simply arrange for the doorbell to be sent back. When reviewing the Bodyguard wireless doorbell, we considered the working range, the melodies, the weatherproof rating, and the build quality. 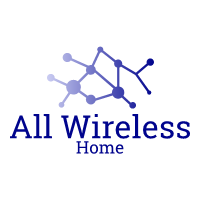 We concluded that this wireless doorbell is a great option if you are looking for a cheap, easy to install, easy to use, and consistent wireless doorbell. Sure, there are better options available if you are hard of hearing, or you need something with a little bit more range, but in terms of a basic, great looking run of the mill wireless doorbell you cannot go wrong by choosing the Bodyguard. 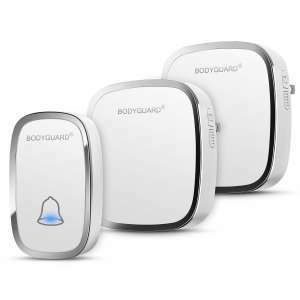 The Bodyguard wireless doorbell is a great option if you are looking for a long range wireless doorbell. It is a great look, minimalistic wireless doorbell that is both robust, and reliable. 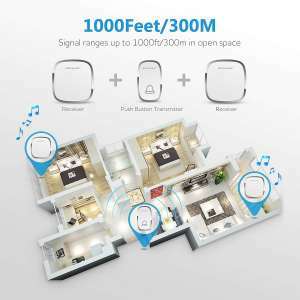 The ability to add additional receivers and the maximum volume of 80dB means you will never miss a visitor again!